Pathogenicity of fungi is its ability to invade the host and produce infection in the host by the expression of certain factors and also to withstand lytic activity of enzymes. Virulence is to multiply and cause harm by altering the gene or gene products in host. The transition of dimorphic fungi to parasitic form and the ability of a fungus to grow at 37°C and physiological pH is a virulence factor for fungi to invade deep tissue in the host. 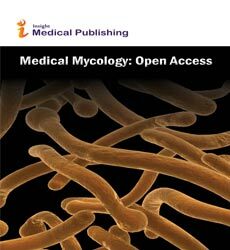 Medical Mycology: Open Access, Journal of Bacteriology & Parasitology, Journal of Microbial & Biochemical Technology, Journal of Clinical & Experimental Pathology, Journal of Medical Microbiology & Diagnosis, Journal of Tropical Diseases & Public Health.